The answer to this question is far more complicated than you might think. Strictly looking at the research data from the last few years, in terms of a dog’s health, the answer seems to be become a clearer ‘no’ by the day. But there are many other factors to consider besides biological health. An unsterilized dog can’t go to most dog parks, often can’t join pack-walks with dog walkers and will have to miss out on other adventures. All of that can be psychologically unhealthy for your dog and lead to behavioral issues but spaying or neutering—especially when done too early in life—will most likely affect your dog’s physical health and shorten its lifespan. In addition, intact dogs often lead to accidental litters, which add to the pet overpopulation and drive up euthanasia rates in shelters across the country. I wrote a more comprehensive article on this topic, which you can find here: "My Thoughts on Spaying and Neutering in 2018" (1). A study published at UC Davis in 2013, titled “Long-Term Health Effects of Neutering Dogs: Comparison of Labrador Retrievers with Golden Retrievers” found that sterilization of Golden Retrievers before six months of age increases their risk of joint diseases later in life by 400% to 500% percent! Similarly, for Labrador Retrievers and German Shepherds (separate UC Davis study in 2015) by 300%. These are alarming risk factors. For female Golden Retrievers, spaying at any point after six months has even more serious consequences. The cancer risk increased by 300% to 400% percent. For female Labrador Retrievers, the cancer risk increased only slightly. Similar results were found in German Shepherds in a 2015 UC Davis study. For females, there is also a medium to high risk of urinary tract infections and incontinence. My personal view on spaying and neutering has changed over the years and while all my rescue dogs were spayed and neutered by the shelter. I would prefer forgoing those procedures and instead have the option of a vasectomy (for males) or an ovarian-sparing spay (for females). These procedures achieve the desired sterility without impacting the endocrine system of the dogs and as such avoid the health risks the studies outline. 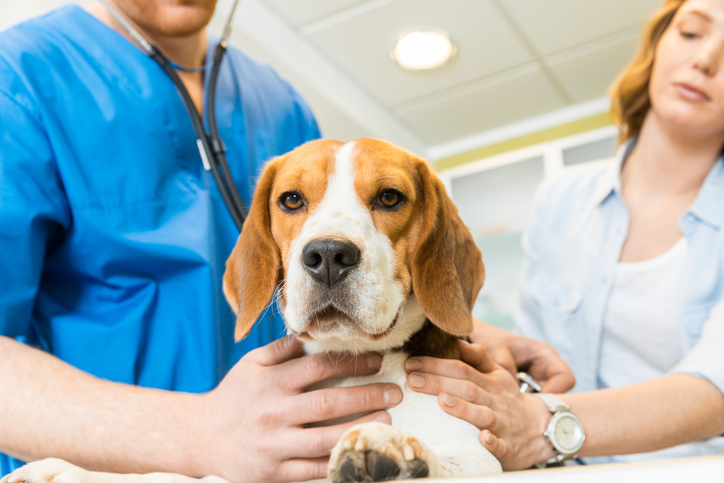 However, only board-certified veterinarians seem to know how to perform those procedures and they are also more expensive than the common spay and neuter surgeries. I wrote more on this, including information on how to locate a qualified veterinarian in myspay and neuter article referenced above. Food has become my biggest concern for dog health. I personally feed my dogs a breed-specific, raw diet but understand that is not something everyone is comfortable with. There are also many rabbit holes I could dive into this topic, that I will keep this to three basic dog food facts. First, if your veterinarian suggests a specific food brand they sell, ask a lot of questions. If your veterinarian is not also a trained canine nutritionist, their opinion is not informed on that topic. Canine nutrition is a complex field and not included in any meaningful way in veterinary school. Get nutrition advice from someone with the right background. Your veterinarian may advise you need a dog food with more or less protein or fat to support a health concern. That is fair, but I would recommend you find that food yourself or work with a trained canine nutritionist to formulate it. I also question food recommendations for weight management; simply reducing the portion size of your current dog food and cutting out all treats seems straightforward in helping your dog lose weight. While the FDA regulates human food ingredients, there are fewer controls on pet foods. Understanding some label and nutrition basics helps. Just like with human food, the first three ingredients listed on the pet food label make up most of what is in the bag. Those should be meat-based protein sources or at the very least meal of meat-based protein sources. If the ingredient list starts with chicken by-product meal (not the good parts), brown rice, corn or brewer’s yeast, you are on the wrong track. Also, don’t be fooled by grain-free foods. They just include different starches like potatoes, corn, wheat, peas or oatmeal. They don’t make the food better. A good food ingredient list starts with things like these: Deboned beef, deboned wild boar, deboned goat, deboned lamb, lamb liver, beef liver, beef tripe, wild boar liver, deboned mutton, beef heart, whole Atlantic mackerel, deboned pork (Brand: Orijen, Type: Regional Red). These are the actual first twelve ingredients of what I consider to be the best dry dog food you can buy: Orijen. 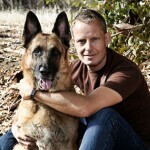 I use Orijen on hikes with my dogs, when bringing raw food is not feasible. Keeping carbohydrates low is another factor in selecting or formulating a good dog food. Dogs can certainly process carbohydrates but don’t need much if any for a healthy diet. A natural dog diet consists mostly of fat and protein and very few carbohydrates. Complex carbohydrates (found in foods such as peas, beans, whole grains, and vegetables), as well as simple carbohydrates (found in fruits and milk products) are all turned to glucose (blood sugar) in the body. Carbohydrates become sugar upon digestion. However, looking at the dog food label to find out how much carbs/sugar is in that bag is a fruitless exercise. The dog food manufacturers have good lobbyists and don’t have to list that information. But they must list the other relevant ingredients, so the math is simple. Look for the percentage of fat, protein, moisture and ash (estimate at 6% if not listed). Add those numbers up and subtract them from 100 to arrive at the percent of sugar in your dog food bag. The lower the carbohydrate percentage, the better. Here a few examples with well-known, popular dog food brands. The percentage values below are taken from the respective labels. As this short sample already shows, there is a lot of sugar in many dog foods, even dogs foods sold for weight management. This example also highlights why I consider Orijen a great food, as far as kibble goes. Based on my experience, in most cases, I believe the answer to that question is ‘no.’ As I mentioned in the introduction, I am a professional dog trainer and specialized in helping fearful and anxious dogs gain more confidence and overcome their fear. In the last couple of years, veterinary behaviorists have ventured into the pet world offering drug-based solutions to anxiety. These are mostly veterinarians and not actual behaviorists, however. A behaviorist should have studied animal behavior in a meaningful manner and I don’t necessarily mean that must be a college degree. But it can’t be just about prescribing medication that covers up the symptoms. I don’t consider that helping a dog getting better, but I know some people will disagree with that statement. It is tempting to use the promise of a quick-fix with medication, as actually helping a dog overcome their fear is a longer process and requires patience. I personally don’t work with dogs on anti-anxiety medication and advise people to discuss with their veterinarians how to get them off those drugs first, if they want to work with me. I don’t mind using natural calming products like chamomile or even CBD/THC oil for a short period. Those wear off quickly and training progress can be assessed easily. But for as long as a dog is on anti-anxiety medication, meaningful, lasting behavioral change is not feasible in my experience. If your dog has anxiety, I recommend finding an experienced dog trainer in your area and try resolving the underlying problem. If you have given it your all, and it didn’t work, you can still try drugs for lifetime management afterward. I just would not start there. Maybe. That really depends on the types of allergies your dog has. My personal view is that you should investigate what kind of allergies your dogs have first, before using allergy shots or steroids trying to manage something you don’t fully understand. But the first rule in medicine is, stop the bleeding. If you must get a serious infection under control, you must do what makes most sense immediately. Let your veterinarian guide you on how to best deal with any sores or wounds possibly caused by allergies. I had to give my own dog Sylvester steroids once to deal with a nasty infection driven by allergies, I didn’t know he had; for a week, not months or years. But in the long-term, a more methodical approach seems better for your dog’s health. I always want to understand it fully before choosing a treatment approach. Too often, I hear the default comment, “just change the food.” To what? If you don’t know what your dog is allergic to, that is a silly suggestion. I started with a comprehensive food allergy test. I personally like NutriScan.org (6). A comprehensive saliva-based food allergy test. You will find out what food ingredients your dog is allergic to and can then make an informed food change. If it turns out that your dog is not allergic to anything in their food, I would perform an environmental allergy test with your veterinarian to identify what in your environment is causing the issue. It may be removable. It might not be. But now you know for sure what you are dealing with. If you learned your dog is allergic to something you can’t change (i.e. dust mites), over-the-counter, generic allergy medication is your cheapest bet for long-term management. Obviously, discuss this with your veterinarian. Most human antihistamines can also be given to dogs in the correct dosage. Your veterinarian should be able to advise you. Only if all of this fails, would I personally consider regular allergy shots for my own dogs. That’s it. I hope you found some of my own canine health choices worth reviewing and I hope I gave you some food for thought.